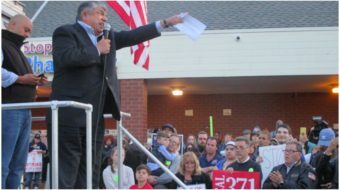 NEW LONDON, CONN. – Locked out nurses and tech workers at Lawrence & Memorial Hospital have put their jobs on the line to protect quality patient care and stop privatization and union busting. After a four day strike action last week to protest unfair labor practices, 800 nurses and caregivers were prevented from returning to their patients on Saturday night. Instead, Lawrence & Memorial Corporation (LMC) hired 200 replacement workers, and cut back on surgeries and services for their patients. 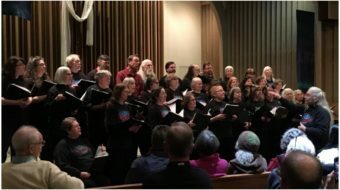 Talks broke down Nov. 26 when LMC made it clear that they intend to let the hospital get “out of the business” of delivering certain vital health services which they want to subcontract to non-union facilities. The strikers have wide support in New London including city elected officials, family members of patients, church leaders and many other unions. “Every day that the corporation’s lockout drags on, they deny the community the level of quality patient care they need and deserve,” said AFT Local 5049 president Lisa D’Abrosca which represents 540 RNs. LMC refused to allow the caregivers to complete an unconditional return to their patients offered before they began the first strike in the hospital’s 101-year history. In advance of the strike action, the local unions representing the nurses and techs filed a complaint seeking injunctive relief with the National Labor Relations Board (NLRB) in the event LMC attempted their threatened lockout. “We want a resolution, not a lockout,” said D’Abrosca. “The corporation is reacting in a reckless and irresponsible way to our lawful efforts to hold them accountable. Even our state’s political leaders urged them not to lock us out from treating our patients,” she said. LMC took out a full page ad to create the false impression that the strike is about wages and benefits, hoping to lessen the support from the community for the health care workers. “The people of this community deserve the truth from the hospital’s administration,” said L&M Hospital sleep lab technician and AFT Local 5051 president Stephanie Johnson, representing 250 LPNs and technicians, including mammography, CAT Scan, and nuclear medicine technologists. In a letter sent to AFT members across the country by e-mail, Weingarten appealed for solidarity with the strikers. commending their opposition to a shift in medical services to non-union satellite clinics, because “these new personnel will have no voice, no capacity to advocate for high-quality patient care, and no chance to earn a living wage.” AFT members and the community are invited to sign a petition to let L+M managers know that the strikers are not alone. 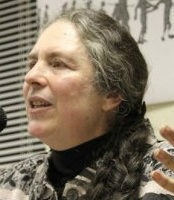 At the People’s World Amistad Awards, held in New Haven on the day after the lockout began, awardee Laurie Kennington, president of Local 34 Unite Here called for unity of all hospital workers in Connecticut across union lines, citing the fact that Yale New Haven Hospital is carrying out the same policy as L&M by closing its sleep center and contracting with a non-union facility. In Waterbury, a two-year struggle is underway to stop the privatization of the hospitals there, where workers are represented by 1199 and AFSCME. 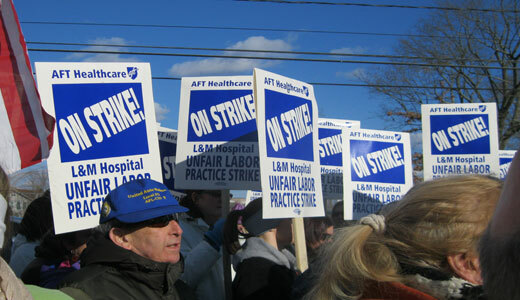 AFT Connecticut represents over 10,500 acute care hospital workers in the state, including 1,600 registered nurses, LPNs, technicians, and healthcare workers at L & M Hospital in New London. Photo: Solidarity rally for L&M Hospital strikers Nov. 29, 2013. Art Perlo.